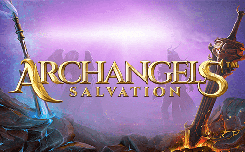 Archangels: Salvation – a new slot with heavenly themes from the company NetEnt. 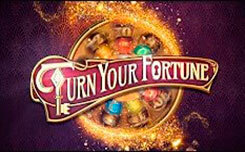 The new game has six reels and 100 paylines, it runs on any device with a minimum bet of 0.40 euros per spin. From the proposed bonus functions, you can note the celestial wild symbols that are called by angels or demons. Each feature triggers a specific kind of wild character. Angels run stacked stacks of wild symbols that appear anywhere on the game screen. Demons – will launch up to 16 single wild symbols, which will be distributed on the game screen. 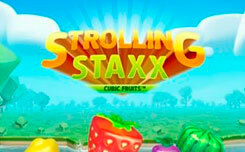 In addition, the game has a free spin bonus, where you can get up to 25 free spins. Design slot archangels: Salvation, has a beautiful and unique graphics, which is made in the style of angels and demons. The game drum is located on the background of two opposite worlds (Paradise and Hell), where on the sides are the figures of an angel and a demon. 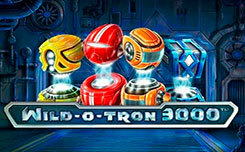 On the game drums you will find the symbols: Gemstones, Golden Helmets, Pads, and standard card suits. 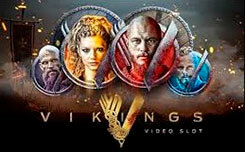 Undoubtedly, you will also see the heroes of the Angel and Demon slot, they appear full-length on any of the game drums. 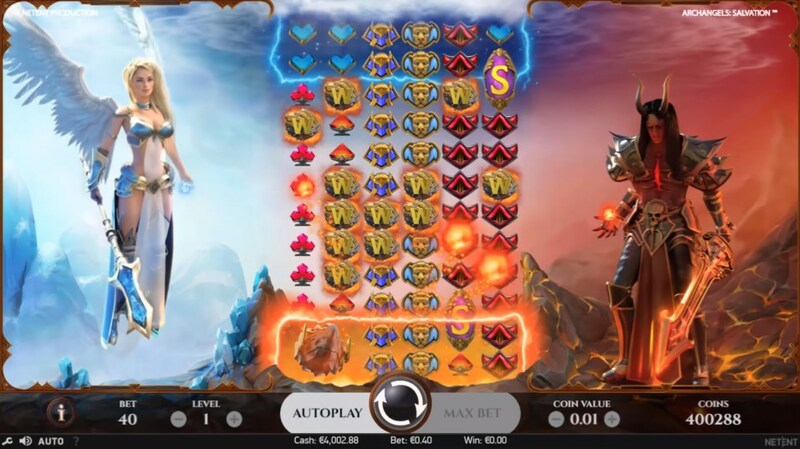 Wild symbol has the form of a golden lion’s head with the corresponding letter W. Scatter symbol has the letter S, it launches the bonus game free spin. Bonus function slot archangels: salvation. Pay attention to the top and bottom of the game screen, they have special areas designated by a celestial and fiery aura, it is in these cells that demonic and celestial free spin are activated. 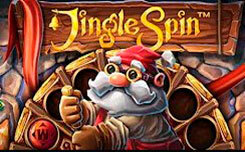 Heavenly free spins – activated when a wild symbol appears in the blue aura, when launched, the angel will add a few extra stacks of folded wild symbols to the playing field that will improve your winning combination. The demonic wild symbol is activated when a wild symbol appears at the bottom of the game screen (fiery aura) when launched, the daemon will distribute up to 16 single wild symbols on the playing field. To activate the free spin function, you must catch at least three character scatters. During free spins, the auras will increase, so you will get much more chances to activate the demonic or celestial free spin. 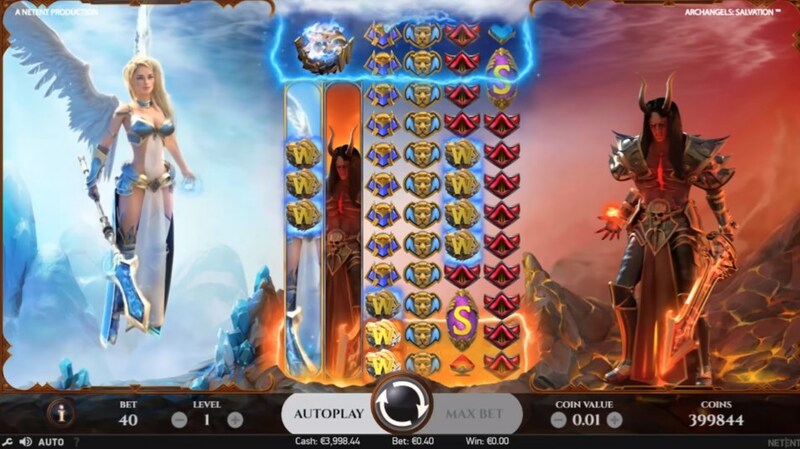 In general, the slot archangels: salvation is a rather unusual game, which will undoubtedly become the next popular slot for netent.